Florida is famous for its sunny skies and scenic beaches, but there’s a whole lot to explore under the sea. From shipwrecks to the third largest barrier reef in the world, the clear blue waters promise unique finds for snorkelers. Just 70 miles west of the Florida Keys, the remote Dry Tortugas’ coral islands are surrounded by shallow waters and open waters underneath which lies the famous Windjammer Wreck, the remains of a ship built in 1875. 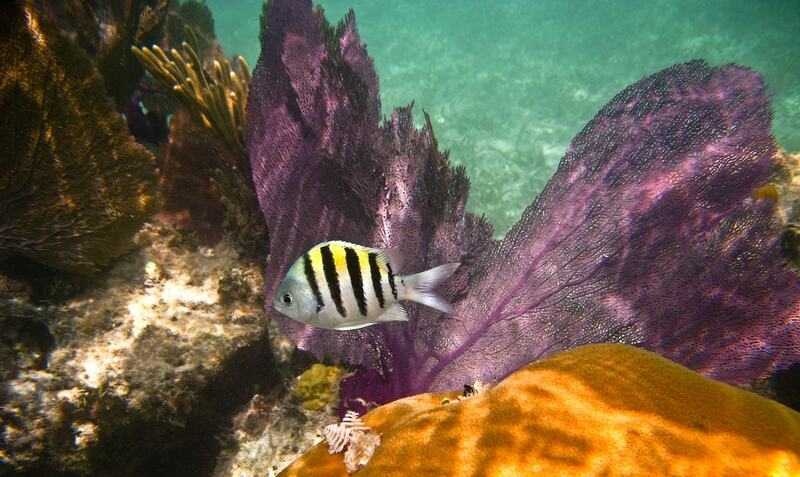 Explore the wreckage, and see the colorful coral, which is home to a variety of fish, conchs, and lobster. Swim with manatees at Crystal River. Located in western Florida, the Crystal River National Wildlife Refuge is a habitat for migrating manatees who come for the warm waters, which average 72 degrees Fahrenheit (about 22 degrees Celsius). The river is fed by springs and is crystal clear, giving snorkelers a flawless underwater view of the gentle herbivores, which can weigh up to 1,200 pounds. 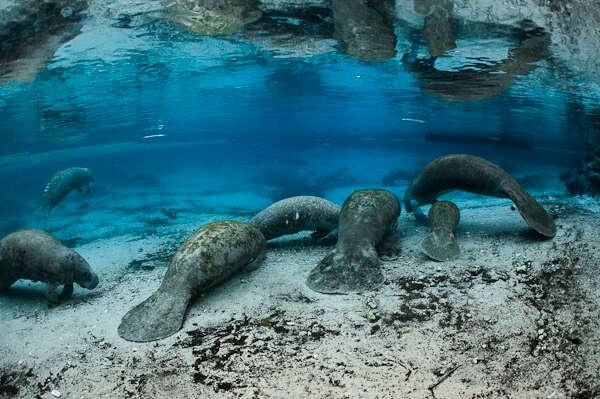 Tucked in a dry cave in central Florida, an underground spring has remains of extinct animals from the Pleistocene Age, as well as human bones dating back to about 7,000 B.C.E. The spring is primarily a scuba diving destination, but novice snorkelers can also view the prehistoric underwater finds. Depending on the season, snorkelers might see dolphins or manatees at Point-of-Rocks, a series of limestone rock formations at the south end of Crescent Beach on Siesta Key. The shallow waters are clear, calm in the morning, and offer snorkelers plenty of visibility of crustaceans and fish. 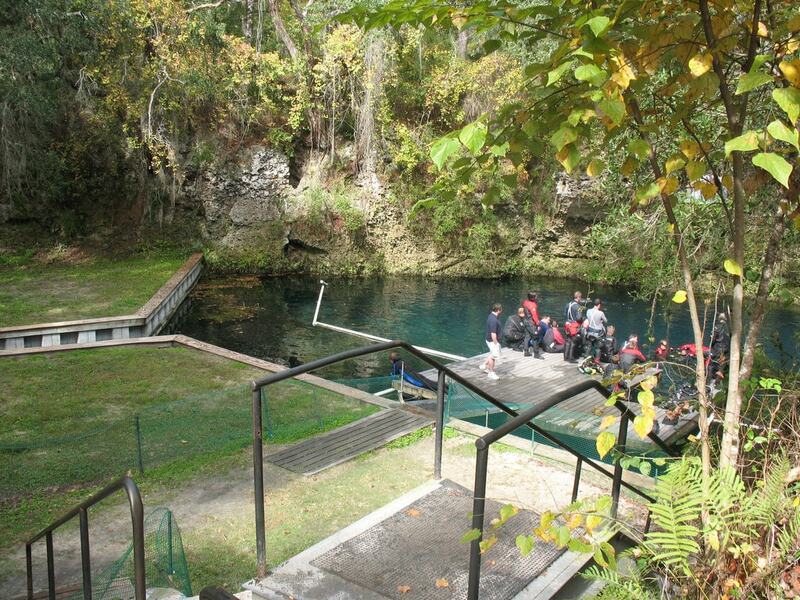 Explore Blue Grotto, the largest clear water cavern in Florida. Fit for novice and pro snorkelers, the cave has fragile rock formations covered by a layer of silt. The waters provide much visibility, so even scuba divers can easily find their way back to the surface. 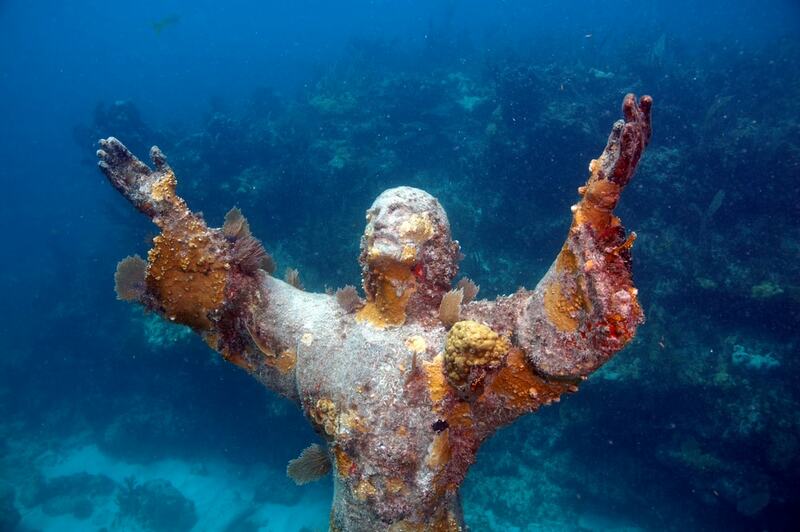 Key Largo’s John Pennekamp park boasts intricate coral reefs and the famous underwater statue of Christ of the Abyss. Both are located near Dry Rocks in very shallow waters—the reef emerges at the surface during low tide. The statue is an 8.5-foot (3-meter), 4,000-pound (1,800 kilogram) bronze sculpture of Jesus Christ molded by Italian sculptor Guido Galleti and later donated in recognition of the conservation efforts involved in creating the underwater park. Explore one of the most-visited underwater sites—just watch out for stingrays! Just near the Pompano Beach Pier, clear waters ranging from 6- to 22-feet deep offer snorkelers views of corals, sponges and caves that have formed from the crumbled rock. Snorkel a few yards off the shore of Venice Beach, near the rocks where visitors often go hunting for shark teeth, including teeth from the great white, tiger and megalodon shark. There is no snorkeling equipment rental on the beach, so remember to bring your own gear! Sebastian Inlet is a popular surfing destination and a favorite for snorkelers. Perched along Florida’s Space Coast, the rock lining along the shore provides a habitat for fish. 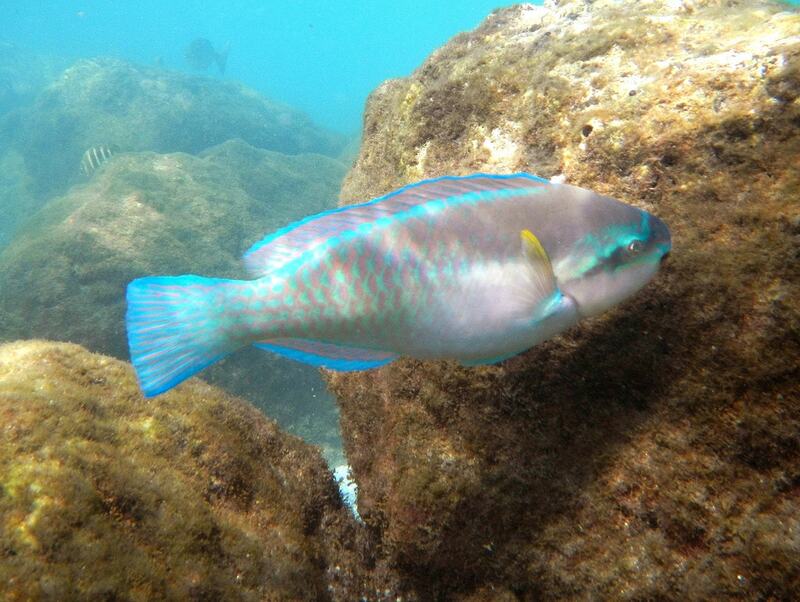 There are also four reefs located in the area and plenty of visibility during high tide. Visit the Peanut Island lagoon to catch views of manatees, nurse sharks, eels, and a variety of tropical fish, such as the barracuda, tarpon and stonefish. Located in the Florida panhandle, Destin jetties (man-made rock formations that extend into the Gulf of Mexico) host such marine life as puffer fish and blue crabs, which are most visible during high tide. If you get lucky, you might even catch sights of dolphins that swim around the jetty. Avoid snorkeling during low tide, as the water gets murky from the flow of the bay, and you might not see much then. 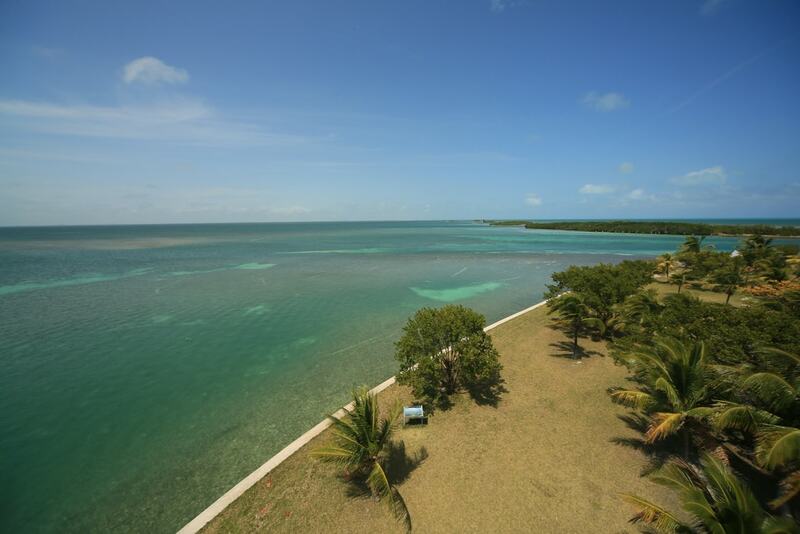 Visit Biscayne National Park for views of the Half Moon shipwreck. The ship was built in Germany in 1908 and named Germania and was later moored in Biscayne Bay during the Prohibition era, where it broke free during a storm and sunk 1930. Snorkelers can get views of the ship in shallow waters that are 10 feet deep or less, as well as coral and fish. If you’re looking for something out of the ordinary, try snorkeling Miami’s underwater bar. The sprawling concrete bar, which weighs 10,000 pounds, sunk during a Cinco de Mayo festival in 2000. It now lies in its underwater grave just off the shores of Miami Beach where snorkelers can explore the barfly reef fish who call it home.